Founded by Jose Virgilio Angeles in 1965, J.V. Angeles Construction Corporation (JVACC) continuously aims to help in building a better and more habitable environment for the generation and the generations to come. Headed now by the third generation, Kathryn Patricia V. Angeles, the company is celebrating its 50th year in the industry. Davao City Bulk Water Project (Davao City) The DCBWSP is an innovative project conceptualized by JVACC harnessing the strength of the Water-Energy Nexus by utilizing its own renewable energy to power up a water treatment plant to deliver potable water to the Davao City Water District. JVACC’s Chief for Management Systems Joy Caneba took us back to how the company started. “It started with a vision to build sustainable projects that improves communities. Water is a basic necessity and JVACC focused on that as its niche and from there, they successfully grew the company. It was crossed between what they’re really good at, which is engineering, and their love for community development,” Caneba said. Caneba also added that their company is focused on water infrastructure, environment and energy projects. Having an impact to the community is the core value of JVACC and it was validated when they were granted as the Top Performer in the water industry. “ Our projects provide safe drinking water and that’s something that generations of Filipinos will enjoy and can benefit from. We take pride in this and continuously find ways to provide innovative solutions to improve our water system,” Caneba said. As part of their 50 years in the industry, JVACC conducts monthly corporate social responsibility to give back to the community. Last month, February, they partnered with Red Cross to give blood donations to the children at the Philippine General Hospital. For this month, they are going to have a coastal clean-up drive at Pasig River. Umiray-Angat Transbasin Project (Angat, Bulacan & Umiray, Quezon) One of the most significant achievements of JVACC was the construction of the Umiray-Angat Transbasin Project (UAT-004) for the Metropolitan Waterworks and Sewerage System in a joint venture with two Italian companies in 2000. This project supplies about 20% of Metro Manila’s water. JVACC’s currently working as the EPC Contractor for the Davao City Bulk Water Project of the Apo Agua Infrastructura, Inc., a joint venture between JVACC and Aboitiz. The Davao City Bulk Water Supply Project is the biggest bulk water supply facility in the country which will supply water to the Davao City Water District (DCWD). The said project aims to provide DCWD on average 300 million liters of potable water per day. 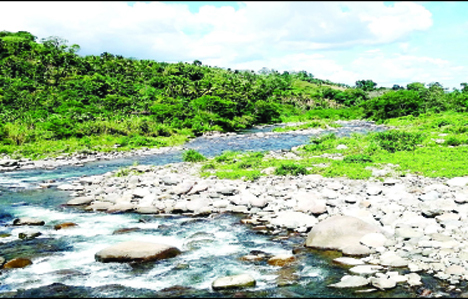 The Davao City Bulk Water Project was conceptualized by JVACC to be an innovative project that harnesses the strength of the Water-Energy Nexus. It will use its own renewable energy to power up a water treatment plant to deliver potable water to the DCWD. In line with this year’s World Water Day theme: “Leaving No One Behind,” JVACC takes pride in all the water infrastructure projects it successfully completed throughout the Philippines. Notably, their Umiray -Angat Project supplying 20% of the capacity used in Metro Manila. “Our company has always advocated for improvement in the water system.,” Caneba also said about the water crisis in Metro Manila. JVACC believes that we should all support any government projects that advocates for the improvement of the water system in the country to address water crisis.